Ella Lv was born in a small fishing village south of the Yangtze river. Her childhood was filled with lotus ponds and rice paddies. There were slow days playing with friends, chasing neighborhood dogs, and flying kites. The rhythm of life is well practiced in this region. Traces of civilization from early humans in the lush delta along the Yangtze go back nearly two million years. At the age of 16 Ella made her first big move, leaving home for Nanjing. There was still a deep history there. Nanjing is one of the four great ancient capitals of China, and was the seat of government for the country as far back as the third century AD and as recently as 1949. Ella loved to walk the mossy stones of the ancient city wall, imagining what life was like under the many royal dynasties that called this place home. Her parents lived a relatively modest life. Ella was part of the first generation to attend school in a rapidly modernizing China. At school she planned to become a fixed-wing pilot, and in her spare time, she began to learn about model aircraft at a local hobby shop. 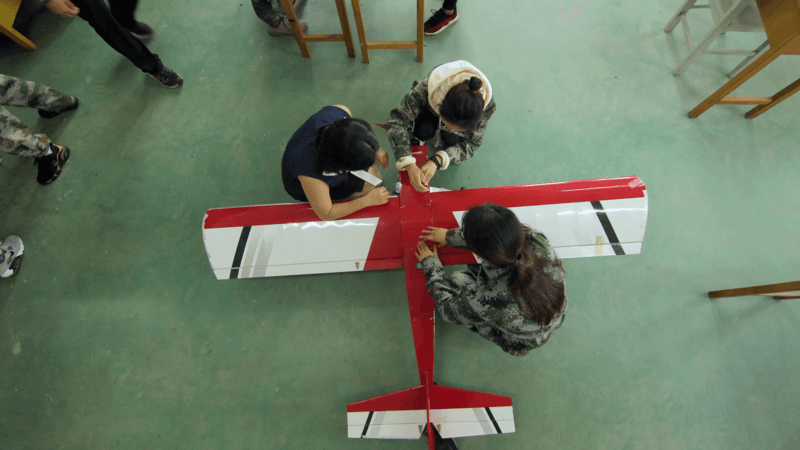 Model aircraft became a true passion, and she made the decision to switch her focus at school to fixed wing aircraft. At first, many of her friends questioned the decision. It was considered unusual for a young woman to want to focus on such technical engineering. After completing her degree, she moved again, leaving Nanjing for the Silicon Valley of China, Shenzhen. Her timing was fortuitous. Just as she was arriving in Shenzhen with a passion for model aircraft, DJI was preparing to launch its first Phantom drone. Ella knew of the company, she had used and sold its components at her hobby shop. But she had no idea that it would become the world’s leading manufacturer of civilian drones, helping to create an entirely new industry in the process. At the age of 24, Ella is now a Product Technical Specialist with DJI. Sometimes that means testing out unreleased products and offering feedback to the teams working to perfect a new quadcopter before release. Other times it means interacting with customers at DJI’s flagship store, helping them to understand which unit is the best fit for their needs. And she still spends a lot of time teaching people how to fly.